Organised by Department Of Otolaryngology And Head Neck Surgery, Nazareth Hospital, Shillong in Collaboration with The North-Eastern Branch Of The Association Of Otolaryngologists Of India (NEBAOI). 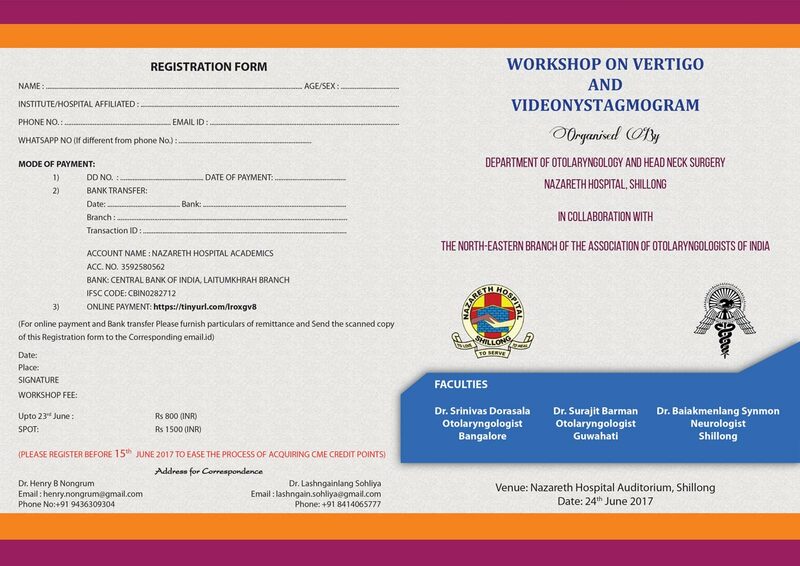 It gives us a great pleasure to invite you for a workshop on Vertigo on the 24th June 2017, at Nazareth Hospital, Shillong. 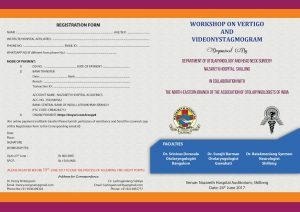 Vertigo being a very common but vexing problem for most clinicians, this workshop is designed to enlighten the methodological approach in clinically assessing the balance system and also introduce newer methods like VNG and VHIT for vestibular assessment. 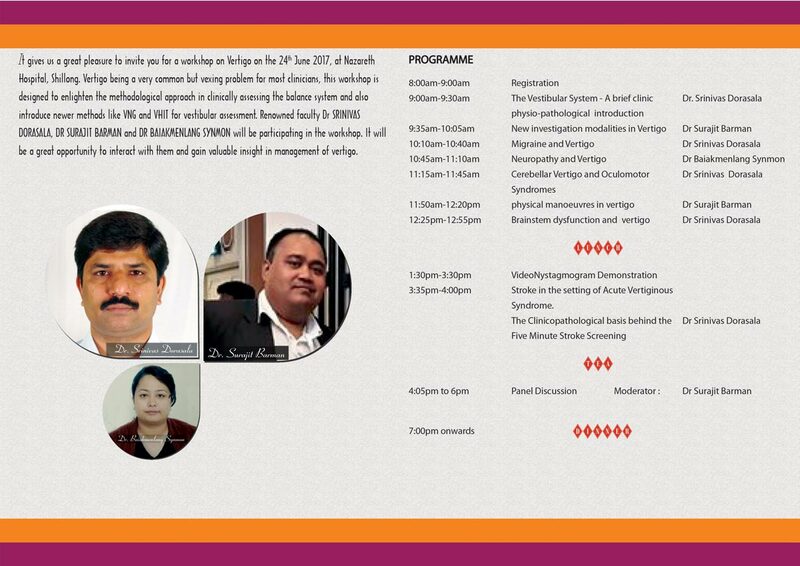 Renowned faculty Dr. SRINIVAS DORASALA, Dr. SURAJII BARMAN and Dr. BAIAKMGNLANG SYNMON will be participating in the workshop. It will be a great opportunity to interact with them and gain valuable insight in management of vertigo.